Map It! 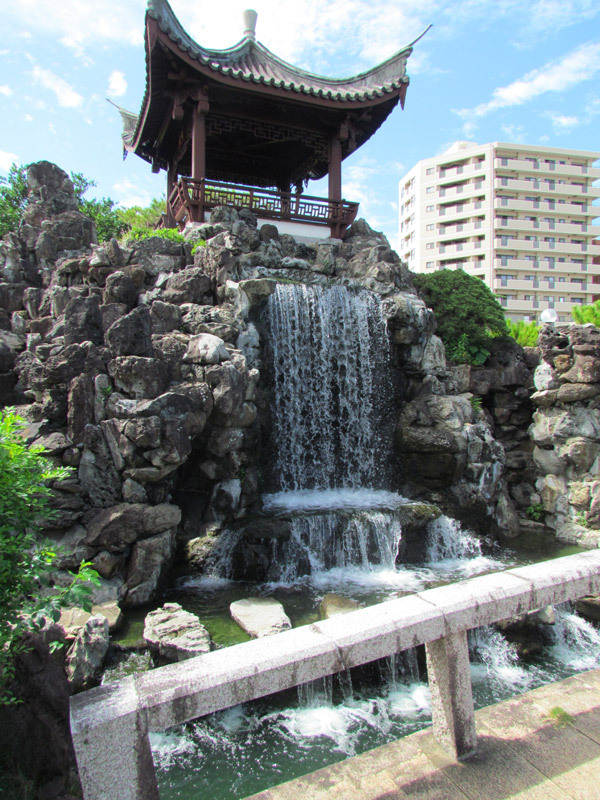 Okinawa: "The Fukushuen Chinese Garden in Naha"
This is the Fukushuen Chinese Garden in Naha. This is not far from where the annual Naha Tug-of-War takes place. In fact, the turn-off to get to the gardens from Highway 58 is at the intersection where the two west and east ropes meet. From here, the Fukushuen Garden is about 1km on the left hand side. You can park right across from the garden at Matsuyama Park (see green thumbtack). Unfortunately, they did not have any English translated brochures. They do have a loud speaker that narrates in several languages (to include English) that talks about the origin of this garden. There is also a faded English translated sign next to a model of the garden (to the left as you enter). Here are portions of the translation in verbatim. 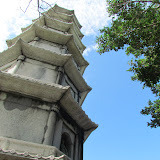 "The City of Naha and Fukusyu flourished as a center of trading between the Ryukyu Kingdom and China. There were many Binjin people, who from China, migrated and lived in Kume Village. Naha City and Fukusyu City concluded the friendly relations agreement in 1981, May 20 to commemorate the historical relationship and to take a new start for Chinese and Japan. As a symbol of the relationship, the Fukusyu-en Garden was established in 1992 to celebrate the 10th Anniversary of the agreement between Naha and Fukusyu and the 70th Anniversary of municipalization of Naha as a city." One of the interesting facts about the Fukushuen Garden is that the materials to build the garden came from Fukusyu City in China. This includes the stones and wood that you see in the garden. All the architectural designs that you also see resembles that of Fukusyu City. Engineers from both Naha and Fukusyu worked on the garden as a joint project to ensure that style and architectural integrity were in keeping of that of the original City of Fukusyu. Phone Number: 098 869 5384 (Always best to call before you go). Parking: You can park at the Matsuyama Park across from the garden. See green thumbtack above. Other: Bathroom facilities are available inside. You can also feed the fishes in the garden pond. There is a coin machine (100 Yen) where you can buy the fish food. The fish kind expect you to feed them. You will know what I mean when you get close to the edge of the pond. Also, you can go behind the waterfall. There is a tunnel there. There are peep holes you can view the waterfall from behind too. However, make sure you brush away any spider webs before you look through the hole. I made that mistake. Other places of interest nearby: Manko Waterbird & Wetland Center, Monument to Hibari Misora, Pineapple House Store, Sumiyoshi Shrine.